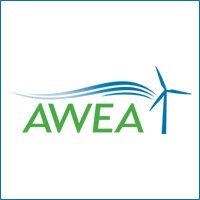 WASHINGTON, D.C. – (RealEstateRama) — The American Wind Energy Association (AWEA) responded to the Administration’s infrastructure principles released today. Importantly, the principles address energy and rural infrastructure along with roads, bridges, airports and other projects. “Transmission’s benefits far outweigh costs, but government regulations cause delays that kill these transformative infrastructure projects. If Congress produces a balanced infrastructure bill that streamlines transmission siting and permitting, the President’s pen could unleash new energy resources and tens of billions of dollars in consumer savings each year while also making our grid more resilient to threats,” said Farrell. Transmission lines are the highways that carry low-cost energy harvested from wind turbines on farms and ranches to our homes and businesses. Technicians who keep wind turbines working at peak performance are some of the fastest growing jobs in America. And wind is a valuable drought-resistant cash crop for American farmers and ranchers, with annual land lease payments in excess of $245 million. More transmission capacity means these benefits will reach many more parts of the U.S.
For up-to-date images of wind energy, please use this link or contact Evan Vaughan, "> .